This site is still active but no longer updated. This site is free, but RQ needs your support to continue publishing. Please support our work by donating today. Thanks! Welcome to issue #102, published Mid 2011. RQ#102 is our largest issue ever - 86 pages - and features dozens of full-color photographs. Our theme section - Fire in all its aspects (or as many as would fit, anyway! ), ranges from magic to street activism to devotional practices. YouÃ•ll find articles both practical and provocative. The activism pages are rich with reports and photos. This is an especially photo-rich issue. We feature rare photos from the Spiral Dance ritual in our Reclaiming News section. Generally we do not film or photograph our rituals, but planners made an exception and allowed Michael Rauner and Michael Starkman to photograph the ritual. RQ#102 features Spiral Dance photos by Michael Rauner, and a photo essay called Sacred Grove by Michael Starkman. The new issue is our third issue released as a downloadable PDF. Browse it online, download and print the issue, or print just those pages you want. The new RQ should print on pretty much any laser or inkjet printer. Unless you enjoy reading on your screen, we hope you will actually print all or part of the issue. There is no reason to read the new RQ online unless you want to. If downloading or printing proves impossible, we are standing by to help, including printing the issue ourselves and mailing it to subscribers who request it. Why Subscribe If It's Free? That's a common dilemma faced by all media today. With print declining and the internet unable to produce income, once-proud titles are disappearing under the weight of their budgets. RQ's response is to minimize our already-low costs. Almost all of the work on RQ is volunteer. Unlike professional publications, we are not saddled with high production costs. But we still look to readers for crucial support - equipment, internet costs, travel to events and gatherings, and office expenses. 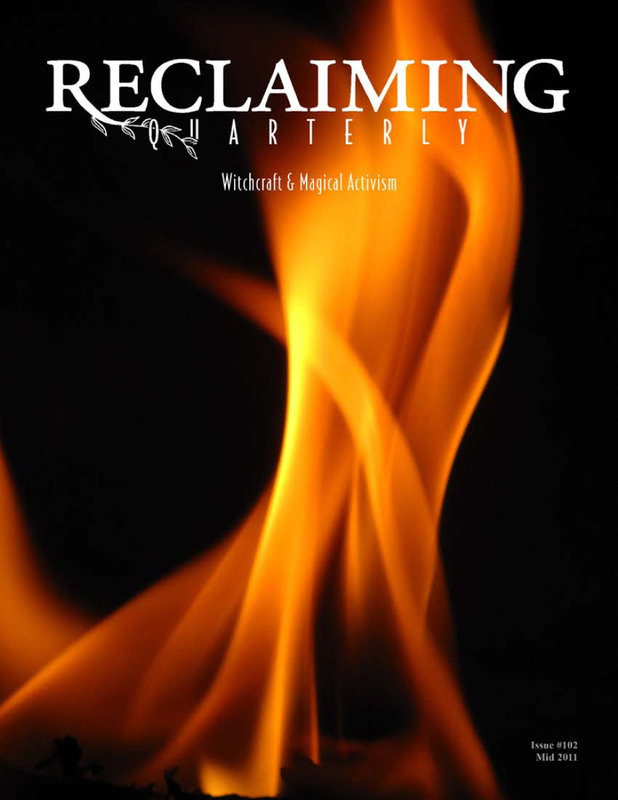 Your support of RQ underwrites all of Reclaiming, from the camps and classes we publicize, to the pagan cluster activities we cover, to services like nonprofit status that RQ helps maintain. A donation to RQ, or an advertisement in the magazine, supports these crucial functions for all Reclaiming communities. RQ honors the Luddite movement, and proclaims our kinship with those who would impede the march of dehumanizing technology. As a special service in solidarity with the computer-challenged, RQ will print and mail a complete copy of the new RQ to anyone who requests it. For subscribers, this service is free. For others, we will ask a donation. We want everyone to have access to RQ! Please contact us if you have any trouble with or feedback about printing the new online RQ.